From the time of the Anglo Saxons, local churches were entitled to one tenth of the local produce, or “tithe”. Under the Tithe Commutation Act 1836, tithes previously paid in kind could be converted to cash payments. To assess such payments, surveyors mapped and made records of use, ownership and occupation of every plot of land in every parish in the country. This detailed record including field names and sizes was certified by the Tithe Commissioners. Fortunately for us, they left very accurate detailed maps at the old scale of 3 chains (66 yards or about 60 metres) to the inch (2.54cm) and schedules recording all the details of each plot marked on each map which are kept both in The National Archive and at the Essex County Records Office. The Thundersley tithe was assessed in 1838 and that for Hadleigh on 30 June 1847. The Hadleigh record has been transcribed by the locally based AGES Archaeological & Historical Association as part of the Essex Place Names Project and is available on their website at Essex Place-Names. At that time, the major local landowners were the Right Honorable Lady Olivia Barnard who owned Park Farm and the castle and Jonathan Wood who owned and lived in Solbys, the house that may now be found in John Burrows Park. Another building still standing now was Sayers Farm, down Chapel Lane, then occupied by J. and Daniel Woodard. 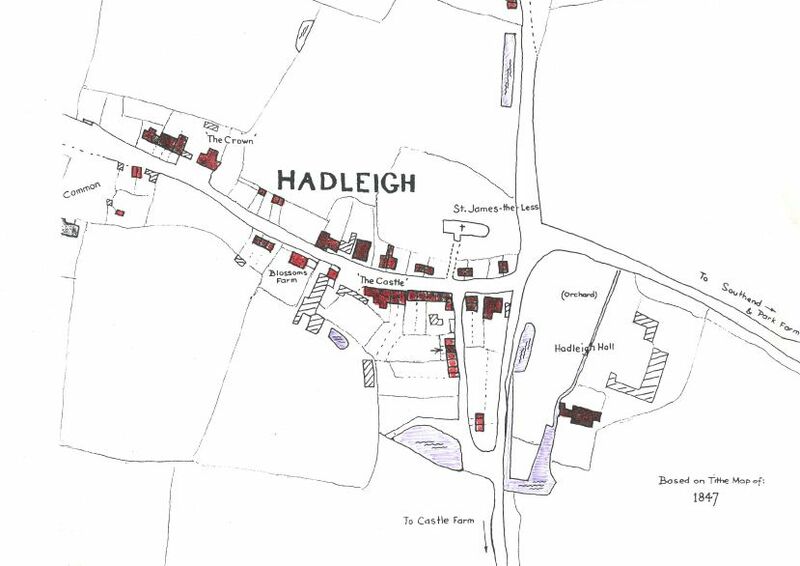 Hadleigh Great Wood was owned by the Dean & Chapter of St Pauls and the woods then to the north of Poors Lane by Sion College. Perhaps of most interest to family history researchers might be entries among the list of about 80 occupiers of the houses close to St James the Less church. Some of these locations on the map can be linked to the additional information in the national census held in 1851 or the first such census in 1841. For example, one noted occupier of the time was James “Cunning” Murrell who is known to have lived in Endway and on the tithe map is listed as occupying plot 238. It may also be of interest to note that, at that time, Hadleigh parish, like others, held lands on Canvey including Knightswick and Small Gains farms. Since originally posting this article, the Thundersley tithe record has also been researched by Terry Barclay for AGES AHA and the records for both parishes, showing the listed land use and occupier with the plot numbers relating to those marked on the original tithe maps, can be found by clicking the following link, going to “Simple Search” and then entering the name of the parish. Here is an offsite listing of Tithe records. This is marvellous. 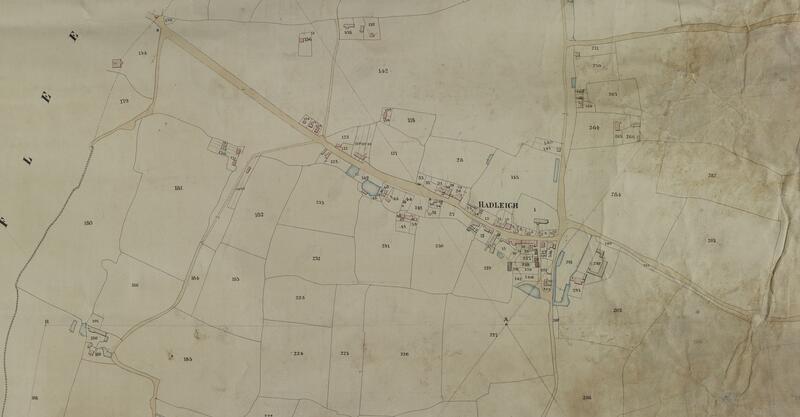 So we now know that James Murrell lived in the second of the six cottages coming from the church (north), but his garden lay behind the last three cottages. That would have been where his landlord buried his chest according to Arthur Morrison, who, with Murrell’s son Buck, opened it again in the parlour of the Castle Inn… And now we know where a plaque or something ought to tell the story…?